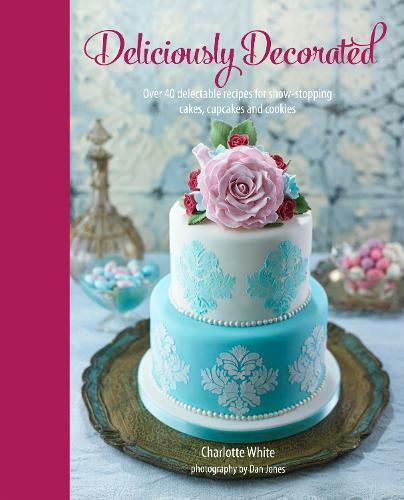 Create beautiful, memorable cakes, cupcakes and cookies for every occasion by taking Charlotte White's masterclass. Her truly remarkable designs are inspired by the beauty of mother nature, seasonal celebrations, man-made opulence, fabulous and famous personalities throughout history and fictional characters. Create a pretty cake simply frosted and topped with sugar peonies or for Valentine's Day, make a cake decorated to look like a box of chocolates, complete with chocolates on top and a lid! Imagine a stunning cake dedicated to the Art Deco decadence of `The Great Gatsby' or fabulous Faberge egg cookies for Easter. What's more - all of these projects are achievable, thanks to Charlotte's gentle encouragement and step-by-step simplicity. She'll provide you with the building blocks, confidence and know-how to tackle her remarkable creations and amaze friends, family, and most importantly, yourself!